Period: Performed to the child between 5th and 6th month. This Pooja is performed inside a mandapam. Father/ Mother or Relative can participate in this event. Required food items will be provided by the temple staff itself. A small quantity of food will be served in Plantain leaf. The Ticket has to be purchased at the counter on arrival for the same day event. 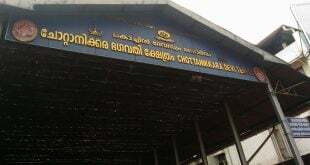 The nearest airport is at Kochi which is 39 Km from the temple. 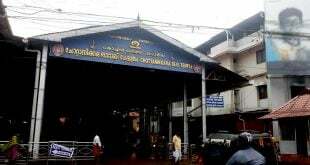 The direct bus is available from Ernakulam station which is 20 Km from the temple. 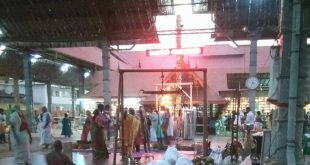 The direct bus available from Kaloor to the temple with good frequency.